Narrated by Dominic West, actor in The Wire series as well as 300, and JOHN CARTER (Source: Dominic west Wiki & Dominic West IMDb) & directed by Mike Christie (Jump London, Inside incredible athletes), CONCRETE CIRCUS brings together five of the world’s best street sport talents in extreme BMX stunt games, skate boarding games, and parkour moves techniques as well their amazing filmmakers. Concrete Circus allows viewers to see the best in urban bike stunt games phenomenon Danny MacAskill, from Scotland; Spanish extreme skating virtuoso Kilian Martin; British urban parkour free runner Blue and the extraordinary 19-year-old parkour moves specialist Phil Doyle (who are joined for an impressive cameo by the incredible Canadian parkour/skater Mathieu Ledoux); and UK champion BMX flatlander Keelan Phillips. Concrete Circus has it all: beauty, danger, jaw-dropping action, and between them all stunts are real and action packed. CONCRETE CIRCUS offers a fascinating behind-the-scenes look at these four extreme sports mavericks as they train in a list of skateboard tricks, trick skate techniques, and parkour workout plans as we follow their latest stunts. The result is a culmination of a series of stunning videos. Concrete Circus is the only movie to display professional from different extreme sports genres and put them all together with an action-packed scene shot at The Barbican in London. I thoroughly loved making Concrete Circus. Hopefully we’ll get it out to the rest of the world very soon. Great feedback on Concrete Circus: Twitter trending, YouTube view clocking goodness. I’m very proud of the Concrete Circus documentary and the films we made. The thing that’s invisible in the Concrete Circus documentary is the process of my involvement with and input of the channel 4 OD film crew and their directors, but it’s possibly the most rewarding part of the experience for me. I loved the collaboration with Brett Novak, Kendy Ty, Stu Thomson and Claudiu Voicu – Thanks guys! 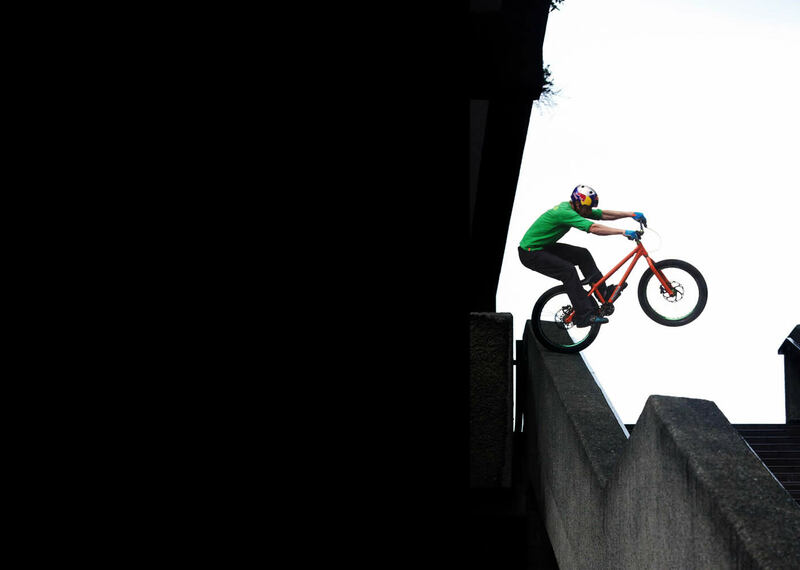 When filming Concrete Circus I have to admit Danny MacAskill was quite cautious about getting involved in short documentaries that involved different sports. Danny’s got a global corporate reputation that privies him to projects like a Danny Macaskill bicycle, but I knew I could convince him into the mix. Fortunately he’d really liked my Parkour films Jump London and Jump Britain, and as Kilian Martin and Brett Novak were on board and he was also a fan of their films too, he agreed to do it. Filming Concrete Circus got a lot easier noted with thanks to all the digital movie cameras that have come along in the recent years. The challenge for me is often an editorializing ideas: I’m really lucky to be making short films for the primetime TV schedule, but that means the films have to be of interest to the national public media audience which means they have to work on another level (other than just spectacle). The editorial ideas are harder to land on in many ways than the action. Yes, it’s true, I can’t say much. I’m working with Danny, Stu Thomson (who directed Industrial Revolutions and is in Concrete Circus) and Red Bull on creating Danny’s new riding film. Concrete Circus is mad and ambitious and scary, but if it comes off as well as we all hope it will be unlike ANYTHING anyone has seen or done before. That’s pretty exciting! Danny’s imagination is utterly unique. His creativity is extraordinary. What is going on in that boy’s brain…?! Whatever is going on in his brain it exploded on to the Concrete Circus movie.